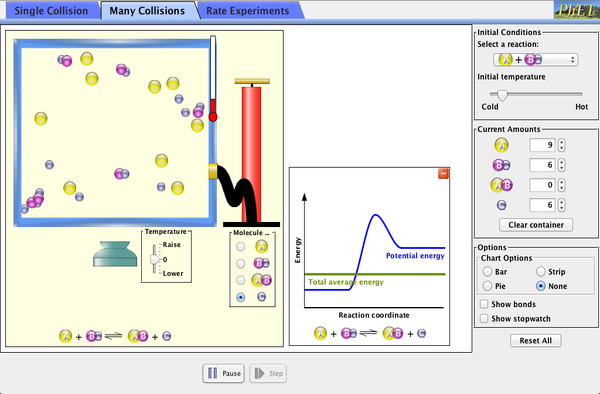 What affects the rate of a reaction? Whether it is Mr Daniels wanting his cup of tea quicker in the mornings, Mr King preparing his paella or Mr Canning repairing his surfboard, understanding how to speed up or slow down chemical reactions can be very helpful. Will the sugar dissolves faster if Mr Daniels uses sugar-cubes or powder? As you learnt last year in the kinetic theory and the changes of state, molecules are always in motion. 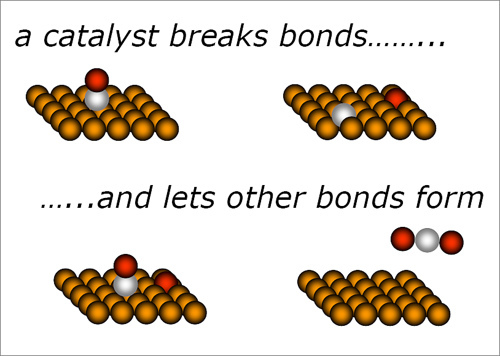 If molecules collide (hit) each other, they can react. So, they must be in contact to react and the more energy they have the faster the reaction can happen. Can you remember how we measure the energy a substance has? Temperature is a measure of how much energy molecules have, therefore the higher the temperature, the more collisions between molecules can occur and so the faster the reaction! What other factors can increase the rate or reaction? Well, if we keep thinking about molecules moving around and crashing into each other, the more of them there are, the more collisions there will be and so the faster the rate of reaction. That is, if we increase concentration the faster the reaction will happen. If we squash the molecules closer together, the higher the chance they will collide. 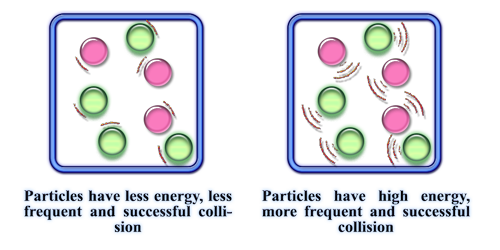 SO if we increase the pressure, the more collisions so the faster the rate of reaction. What does surface area mean? Well, if we have more molecules available on the outside of a substance to react, then the faster the rate of reaction because there is a higher rate of collisions. What was your answer to Mr Daniels using powder or sugar-cubes? You probably said powdered sugar because you understand how increasing the surface area increases the rate of reaction! What was the last thing the boy in the video above sang about? A catalyst is something that can speed up a reaction. They are very important in industry as they can reduce energy consumption and so make companies more money. We also use them in the exhaust pipes on cars as they help to reduce pollution. Revise Rates of Reaction here.